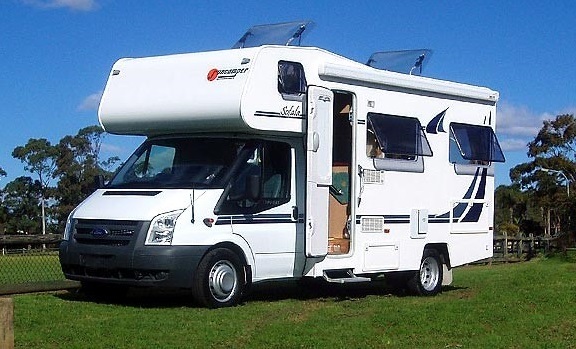 The Motorhome 4B Budget is an older vehicle. 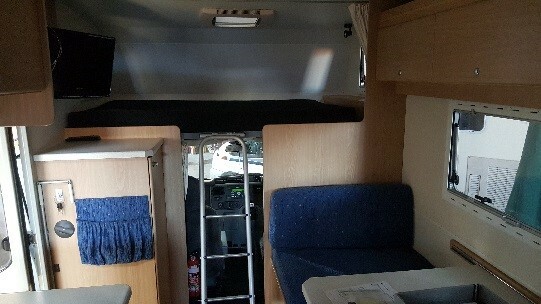 It has 1 double bed in the rear and another above the drivers cabin. The dinette converts into a ¾ bed. There are 4 seatbelts, 2 in the front and 2 at the dinette table. 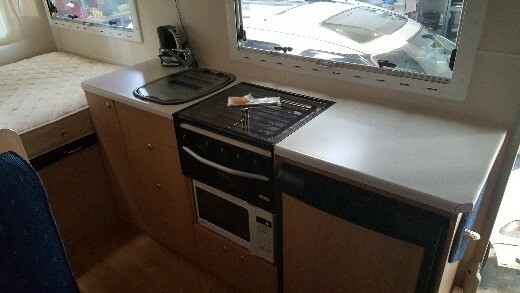 It is perfect for a family of 4 or 2 couples. 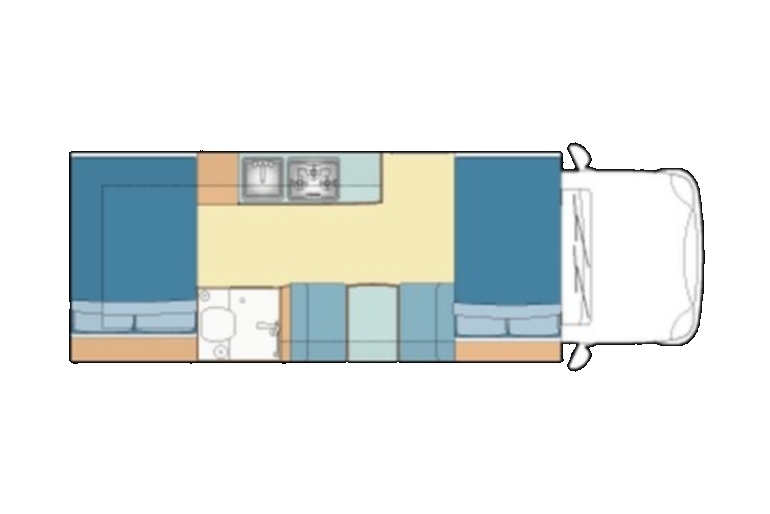 Air-conditioning, TV, solar panel, microwave, shower and toilet, fridge (3 way) and stove are all standard features. All living equipment plus outdoor chairs and table are included as standard equipment. Campervan/Motorhome/4x4 Camper types displayed are for illustration purposes only. Actual vehicle may vary from photographs and illustrations. The operator reserves the right to change specifications and or supply similar or higher class vehicle for the advertised price without notification. Adelaide is a serviced non depot location. Please call or email Jenny in advance to organise pick up/drop on +61 (2) 97594422. You can be met at your hotel or at the airport.